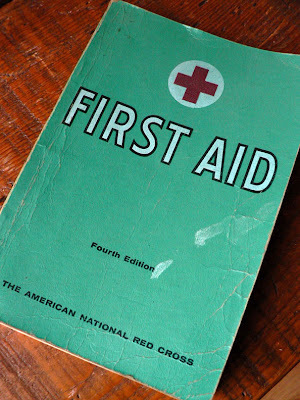 Damn Yak Dry Goods Co.: First Aid 1967. Last weekend while walking out of a the local reuse center, I scooped this old American Red Cross First Aid Manual from the "free" bin. Originally printed in 1953, this is the 1967 revised edition. It has some two hundred and fifty illustrations in it, and about two photographs. It is a great book with some great info, this edition has a amendment at the back with the even better way to preform Mouth to Mouth resuscitation! Anyhow I thought some of the drawing were quite humorous, and the lack of emotion in the victim and rescuer faces is classic. How to Baby Bowl: Step 1) Find a baby that fits your finger for easy release. How to Baby Bowl: Step 2) Proper form is very important for accurate bowling. The Red Cross' Standard Halloween Costume. Nothing beats a good snuggle when feeling blue. The 'bandage for the face and head' illustration is awesomely ridiculous. I know it was a different era, but the editors must have laughed to themselves when they included that one. Oh man, there is so may insanely funny drawings in this book. It's been on the coffee table all week and my wife and I are still laughing about them. 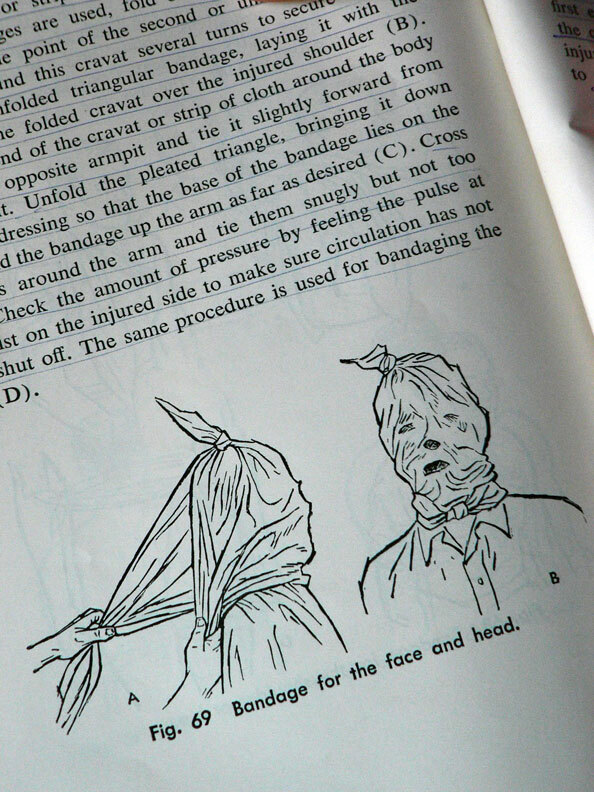 Also, to put that face bandage to use, I doubt the victim of such a horrible accident would just be standing there while you muck about trying to figure out how to wrap their head to make them look like a boogieman. 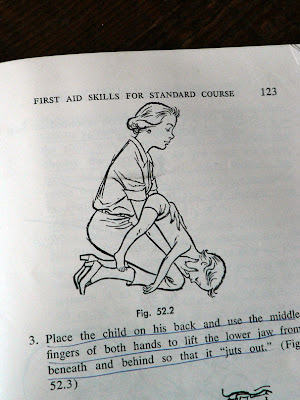 In first aid we use lots of techniques; the techniques which you mentioned are properly explained. 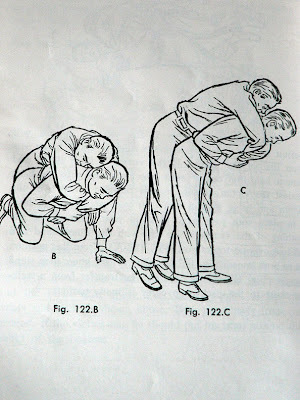 First aid techniques can be learned by the layman, they are very simple to understand.